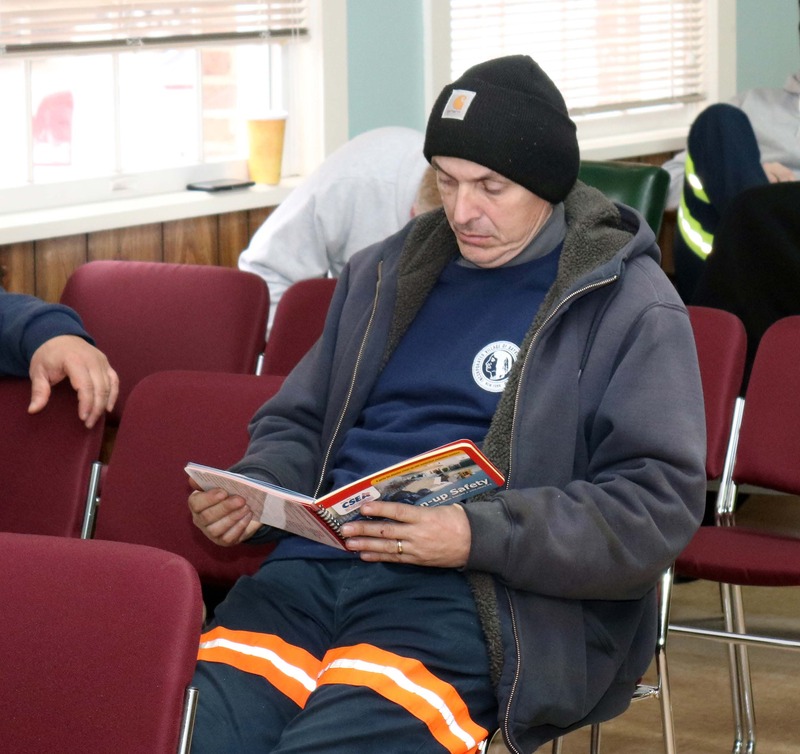 CSEA members from the Village of Bayville sanitation and highway units attend the clean-up safety training at village hall. James Samuels, right, discusses safety concerns with CSEA OSH Specialist Jeff Hyman, left. 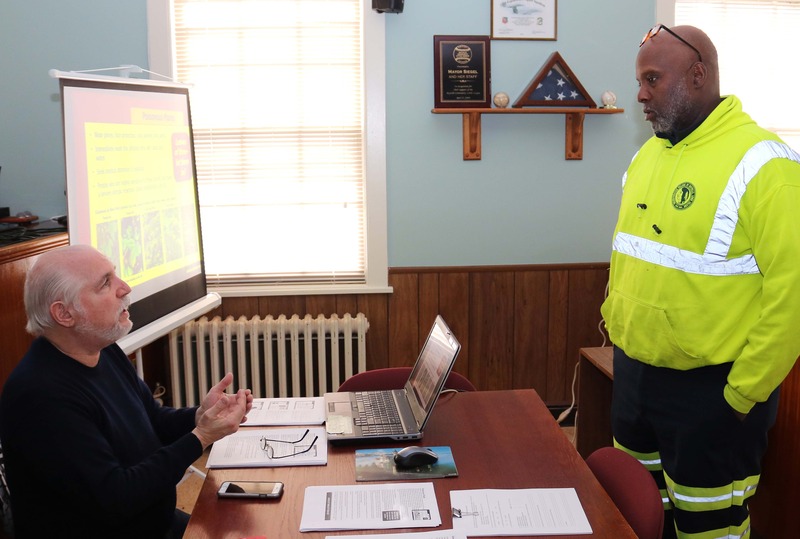 BAYVILLE — CSEA offers members many different occupational safety and health trainings at no cost to our members to help reduce the risk of injury, illness and death on the job. One of those trainings is the Clean-Up Safety class. Recently, a group of members from the Village of Bayville Unit’s sanitation and highway departments gathered together at village hall to attend the Clean-up Safety class and to discuss the numerous hazards members face on the job. Items like nails, yard waste and chemicals can be very harmful to our members if they unknowingly come in contact with them while attempting to dispose of waste. One member mentioned that he wound up with scratches along his arm after making an effort to throw out a black bag that he was unaware consisted of broken glass. Paul Iannotta reviews the Clean-Up Safety training manual. Another member told a story about an explosion occurring because someone put kerosene in an unmarked black garbage bag. These are just a few of the hazards that our members face during their shifts. When you factor in exposure to insects, bodily fluids and disposing of vermin, it’s no wonder that the Clean-Up Safety class is necessary. If you are interested in having any of the OSH trainings made available to your local or unit, call the Long Island Region office at 631-462-0030 and ask for CSEA Occupational Safety and Health Specialist Jeff Hyman, who covers our region.